Computer server workbenches and network technician stations are an efficient and cost-effective solution for storing equipment with additional space to work. 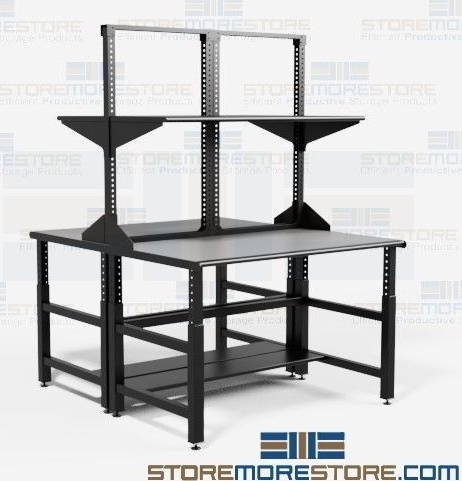 Because its overhead shelves create more storage space in a smaller footprint, the workbenches are great for network computers, server farms, computer repair, mailrooms, and other technical applications. The workbenches provide multiple benefits over standard furniture. 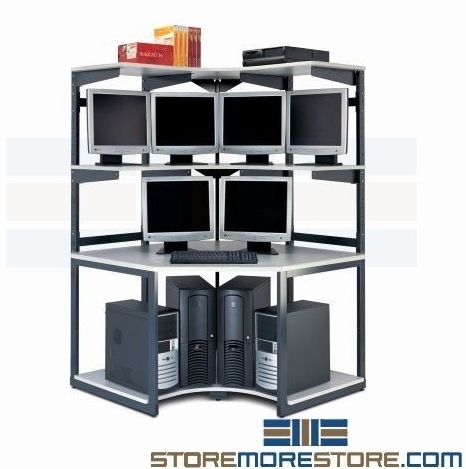 Since it has many adjustable components, it’s easy to adapt the workstations to your storage needs. Additionally, choose from multiple sizes and configurations depending on your application, including bottom server shelves that can easily accommodate several full-height towers. Because of its strong and durable construction, the workbenches will store multiple types of equipment on one unit. 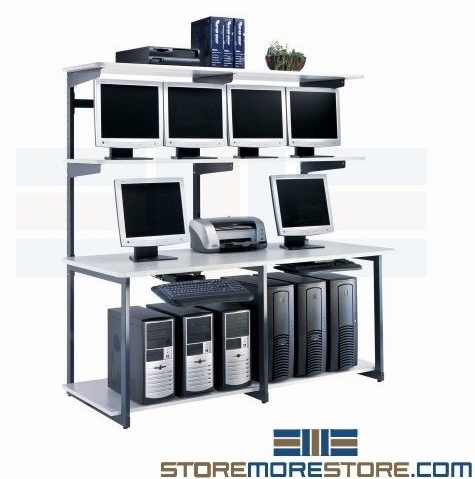 Each shelf supports 250 lbs for displaying monitors, printers, scanners, fax machines, and more. Since the stations provide enhanced durability, this ensures that you can keep all of your equipment in one place within easy reach. The workbenches are also available in corner station configurations so you can make the most of your space. Due to their flexibility, you can combine the workstations together or use them as standalone solutions. You can also choose from a variety of optional accessories at an additional cost such as keyboard holders, extra shelves, power strips, casters, and cable managers. 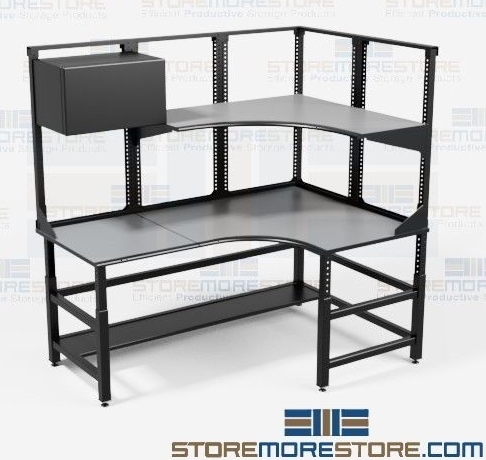 Computer server workbenches are available to buy online and ship within 20-25 business days with free dock-to-dock shipping. If you need any assistance or just want some help picking the right solution for you, please call us at 1-855-786-7667.